LAKE ELSINORE, CA (AP) – Hall of Fame boxer Bobby Chacon died Wednesday under hospice care for dementia. He was 64. Inducted into the International Boxing Hall of Fame in 2005, the former WBC featherweight and super featherweight champion went 59-7-1 with 47 knockouts in a 16-year pro career. The Southern California native engaged in numerous memorable fights, including victories over rival Rafael “Bazooka” Limon, Cornelius Boza-Edwards, Danny Lopez and Ruben Olivares. He also beat future trainer Freddie Roach and lost to Alexis Arguello and Ray “Boom Boom” Mancini. “One of the most exciting fighters in the history of the West Coast, an amazing blood-and-guts brawler who took on the best fighters in three divisions,” said Ricky Farris, president of the West Coast Boxing Hall of Fame. Born on Nov. 28, 1951, Chacon was nicknamed “Schoolboy” because he turned pro while studying at Cal State Northridge, a university near his birthplace in Pacoima on the north end of the San Fernando Valley. His charismatic fighting style and good looks made him a fixture on the California boxing scene from his pro debut in 1972, fighting 20 times at the Forum in Inglewood and nine times at the Olympic Auditorium in Los Angeles. At just 22 in 1974, Chacon stopped Venezuela’s Alfredo Marcano in the ninth round at the Olympic to take the featherweight title. In 1980, Chacon outpointed Limon in Sacramento for the 130-pound title in the fighters’ wildly entertaining fourth matchup. Chacon’s successes were usually followed by struggles, either caused by superior opponents or his own demons. Chacon lost his WBC featherweight title to Olivares in 1975 after struggling badly to make weight, disappointing a Forum crowd that generated a then-record for boxing gate revenue in California. Chacon also lost to Nicaraguan great Arguello in a WBC super featherweight title fight in 1979 before losing a second shot at the same title against Boza-Edwards in 1981. Chacon had his most memorable rivalry with Limon, the Mexican super featherweight. The two fought four times over seven years from 1975-82, with Chacon taking a 2-1-1 edge in the series by winning a unanimous decision for the WBC 130-pound title in December 1982. Chacon endured horrible personal tragedies both during and after his career. 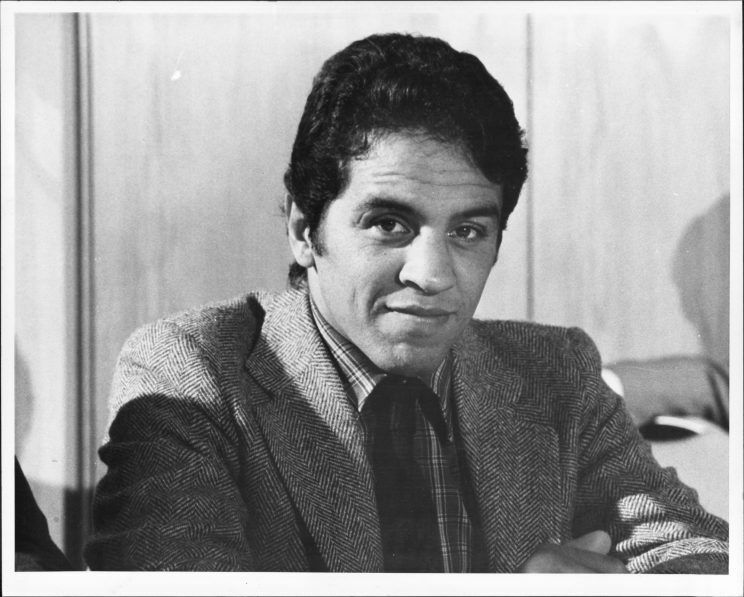 His wife, Valerie, killed herself in March 1982, but the boxer elected to fight the next day, stopping Salvador Ugalde in the third round in Sacramento. His son, Bobby Jr., also was killed in 1991 in a shooting attributed to gang violence. After his career ended in June 1988, Chacon’s memory, health and fortunes all faded. He showed numerous signs of pugilistic dementia and struggled with substance abuse, but still occasionally made public appearances at local boxing cards. Chacon graduated from San Fernando High School. He will be inducted into the West Coast Boxing Hall of Fame on Sept. 25.